The ooh-and-aah factor for virtually every iteration of this technology has been huge right out of the box, ever since it first was introduced a few years ago. But, bringing to mind old dogs and new tricks, maybe lots of boaters didn’t necessarily understand the presentation of the data. Side-scanning sonar in particular is a prime example. The ooh-and-aah factor for virtually every iteration of this technology has been huge right out of the box, ever since it first was introduced a few years ago. But, bringing to mind old dogs and new tricks, maybe lots of boaters didn’t necessarily understand the presentation of the data. In most views we see of side-scanning sonar, the screen depicts what’s happening on both sides of the boat. The bands of obvious bottom structure are shown on the outermost left and right sides of the image. These areas are characterized by the plain-to-see rocks, wrecks, and holes (complete with sonar shadows that heighten the effect). 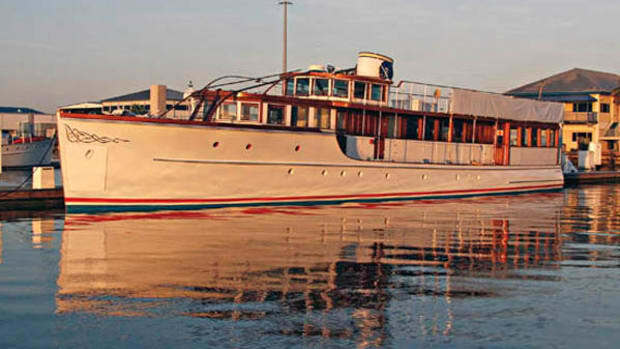 Inboard of those two vertical bands are generally dark bands sometimes showing targets in the form of dots or what look like clouds—fish, debris, or bubbles and cavitation, sometimes from the boat itself. Then down the middle is generally a narrow stripe dividing the two dark areas. 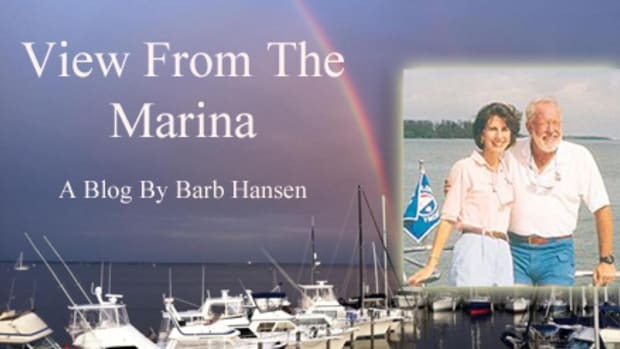 If you think of the center stripe as the keel of your boat (and in some cases the turbulence it causes), then it’s easy to understand that the two dark bands would be the water column beneath the boat. The water column you see in the (often) dark double center strip are mirrored images (from the two transducers) directly below the boat. The sonar shows an almost 180-degree view from near-surface left to near-surface right. The inner edges of the farthest bands out shows the bottom closest to the boat, and you probably will notice the image is duplicated on the innermost edge, a result of the overlap of the two transducer beams. As the scene scrolls from the top of the screen you see the underwater objects you pass. Now this is not new technology. 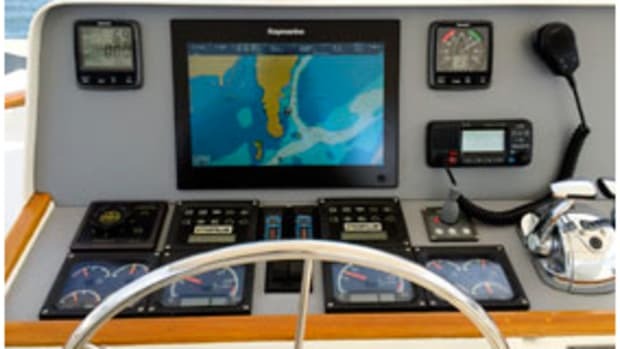 But what is new and steadily improving is the way Garmin, Raymarine, Humminbird, and Navico brands Simrad and Lowrance continue to add tools and features to make it easier for you to parse the data. Completely integrated helm systems today are so powerful that the amount of information presented can feel like trying to get a drink from a fire hose. But the value of seeing beneath the boat and using the image in conjunction with your traditional fishfinder is unquestionable. And in many cases now it is easy to add this functionality on many existing systems with the addition of a transducer. 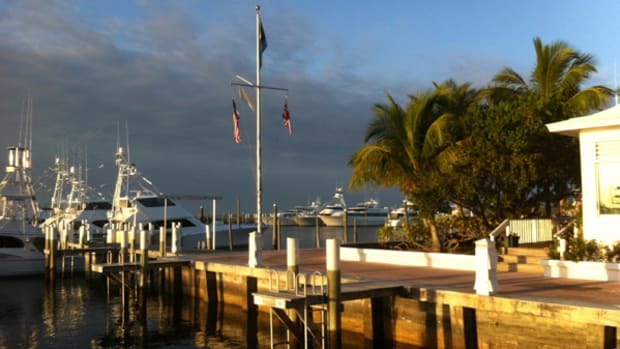 I recently got on Maus’s boat with Steve Thomas, Simrad’s product line director, and we motored around Miami’s Government Cut, looking at limestone riprap on the north side of the channel. I was fascinated to see the amount of detail on the screen—the pockmarks and holes in the limestone chunks were plainly visible. While I am a big proponent of the mysteries of the deep, this setup is downright cool to watch. You can’t take your eyes off the MRI-style images, and they can be haunting. But the real value arises when you use it in conjunction with a traditional-style fishfinder. So the key is to not get sucked in. Instead, you should look at the humps and holes passing by on the regular bottom machine, and then look to the combination of side- and down-scanning sonar (easily configured on a split screen) for added detail. Why do these systems give us such a different image than a traditional fishfinder? The answer lies in the transducer. It shoots a very narrow beam, and it uses a very high frequency—455 or 800 kilohertz—compared to the standard 50 and 200 kilohertz your standard bottom machine uses for deep and shallow applications, respectively. One advantage to the systems is that they don’t require tuning, and instead use an automatic mode to set range and gain. The side-to-side range of side-scanning sonar is mostly based on the depth of the water, since the transducers are set at a fixed angle (though Raymarine’s transom-mount transducer for its CP200 SideVision system can be hand adjusted for a wider angle.) Gain is also manually adjustable, and obviously with experience users generally figure out what works best for water temperature, movement, and turbidity. 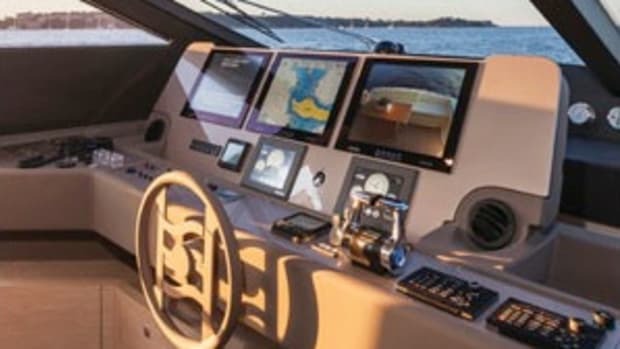 I noticed on Maus’s Yellowfin 36 center console that the StructureScan image held bottom as we topped 40 knots, a testament to good placement of that transducer in combination with the shallow conditions. 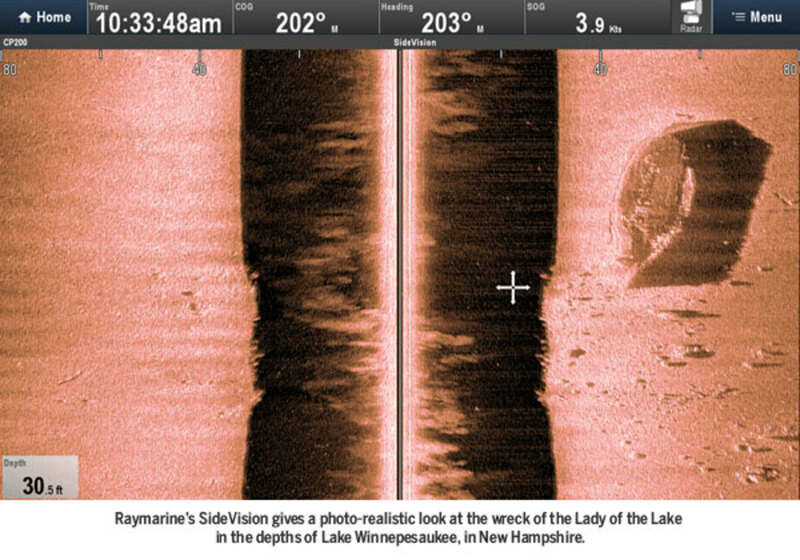 But as with many technologies, looking beyond the initial, obvious application—in this case fishing—does it make sense to consider adding side-scanning sonar to your electronic toolbox if you rarely wet a line, or only cruise? Each boater has to answer that for himself. 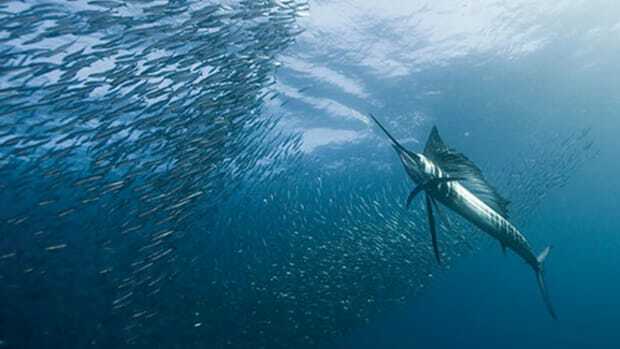 “While it’s primarily used for fishing, scanning sonar is used by mariners any time they want a clearer picture of what’s below the boat,” says David Dunn, director of marine sales and marketing for Garmin. “When scuba diving and searching for a waypoint, for example, users can use SideVü to locate the bow or stern of a wreck. 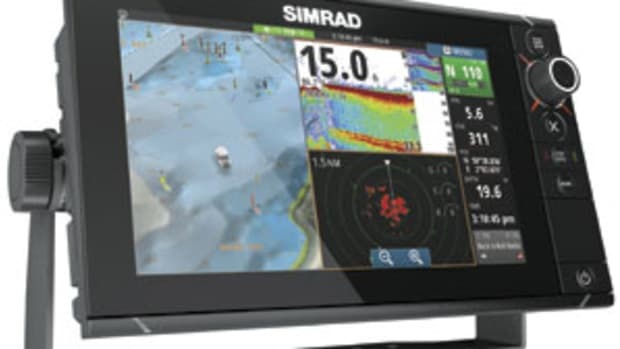 With traditional sonar, sometimes it’s hard to differentiate what it is exactly that you’re seeing, but with SideVü, a picture is painted to provide a more detailed representation of objects, structure, and fish.” Checking out an anchorage will never be the same. Simply drive a circle or two and look for anchor-friendly bottom. Garmin also just launched the Panoptix sonar system in Miami in February, which shows structure all around the boat. 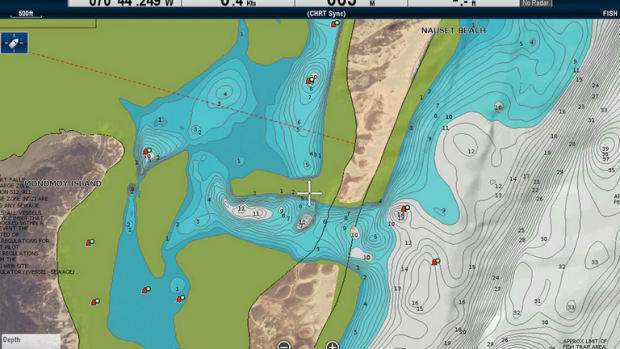 A useful feature offered by some manufacturers integrates the scanning sonar with the chartplotter, where you can tap the touchscreen on the Simrad, Raymarine, Lowrance, and Garmin units to set a waypoint on the chart where the sonar target is located. 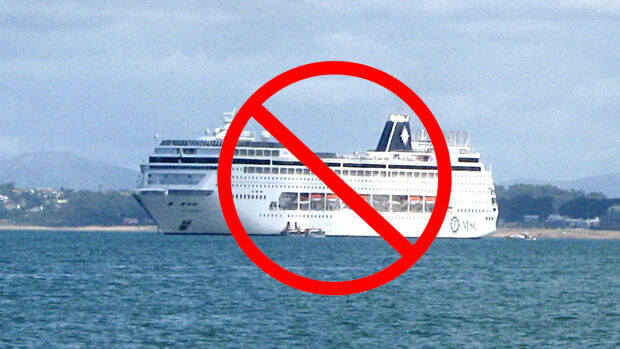 It makes it simple to come back to a desirable location, or avoid a poorly marked hazard. 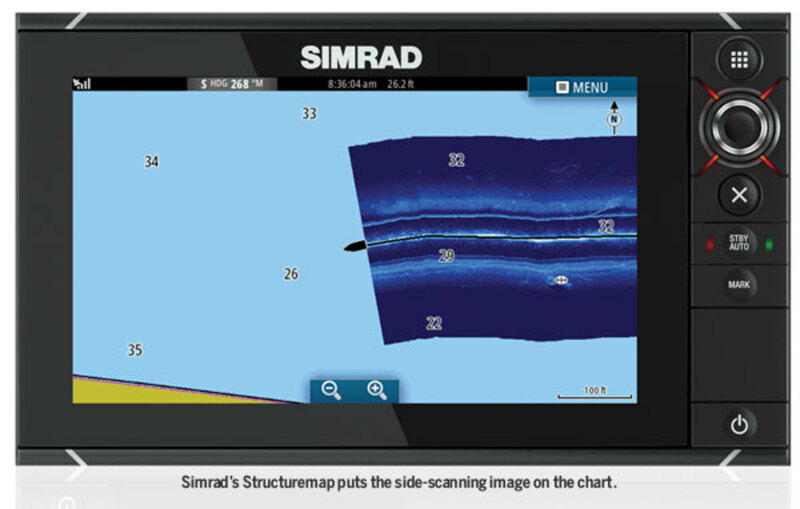 Simrad’s Structuremap takes the integration one step further, integrating the StructureScan image onto a chartplotter view. I could see this setup, used in conjunction with the full-screen StructureScan, as an excellent way to train yourself to think about where the objects shown on StructureScan are in relation to the boat. 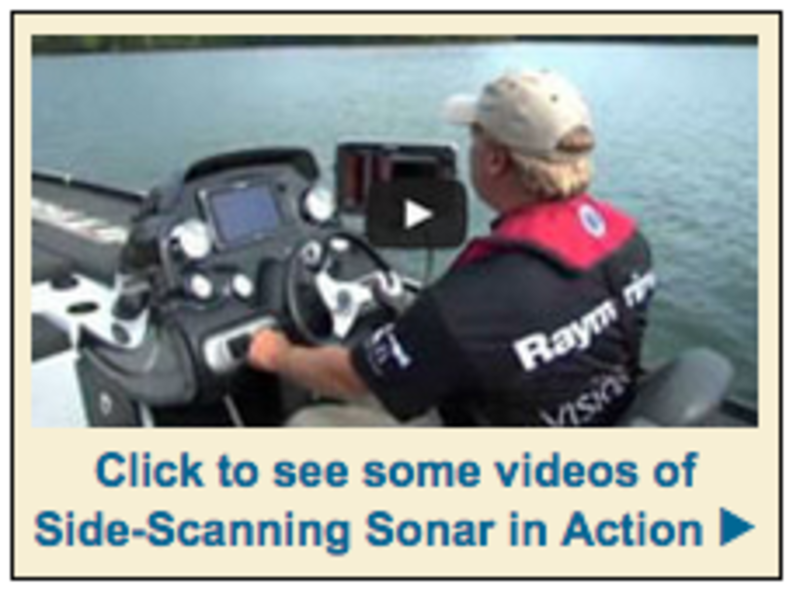 Side-scanning sonar works in tandem with your fishfinder and plotter to make it all more powerful. And that may be worth a whistle. Or even a wow.